The Bellaire Barracudas 11/12 boys medley relay team (pictured) won first place in the Southwest Aquatic League (SWAL) Championship Finals. After a successful summer season against tough competitors Willow Wahoos, West University Piranhas, Southwest United Stingrays and Briargrove Barracudas, the boys secured a spot in the finals by finishing the regular season among the top six times for the medley relay. 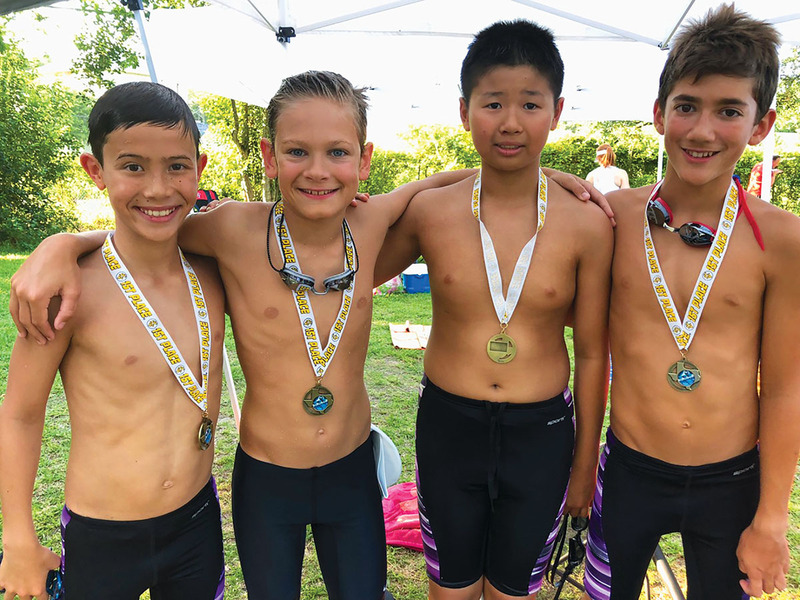 The Bellaire Barracudas team finished third, overall, for the season, and these boys brought home the win for their event: (pictured, from left) Jason Butz (butterfly), James Finch (backstroke), Jason Deng (freestyle) and Ethan Adams (breaststroke).